Few things are better than a good meme. 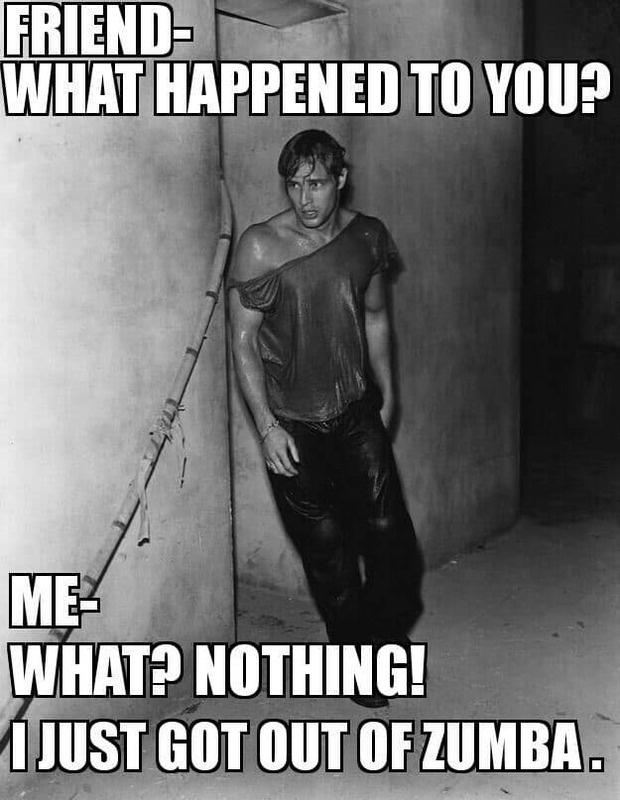 And when they happen to be memes about something I love, that’s even better. I love laughing at all the little quirks that only the people who share my interests can ~really~ get. And by interests, I mean one interest. And by one interest, I mean obsession. Here are a few of the best memes that really get me laughing. 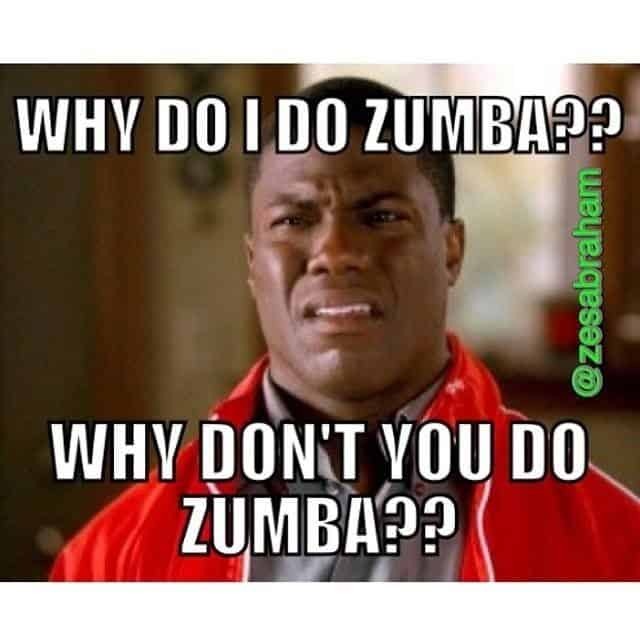 Scroll through them all before heading out to your Zumba class! You’ll have a few gems to share with your comrades on the dance floor. Because you’re going tonight, right? If not, you may need to rethink your plans. These panels of six are always a classic. 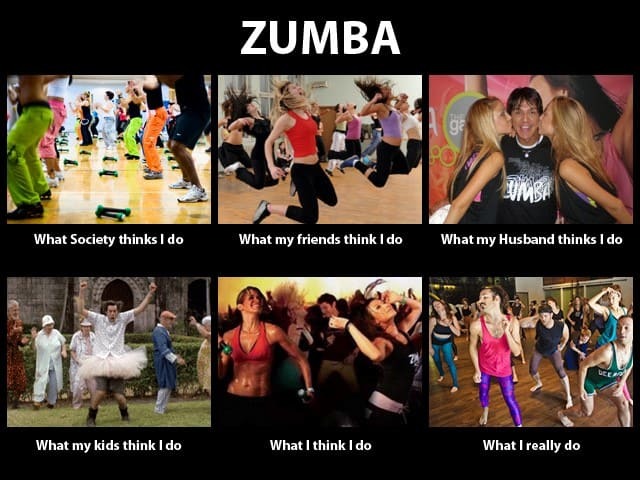 And you know what, in my opinion, the best Zumba groove is always somewhere in the middle of all six pictures. And with my bold moves, I know I’m falling somewhere between the fifth and sixth picture just about every time. And each time, we leave so invigorated! 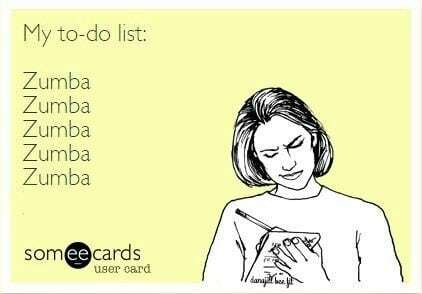 If only our to-do lists could be as simple as this. 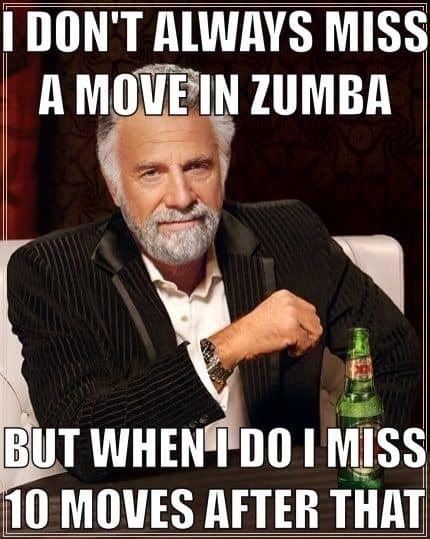 Zumba five times a week? Sign. Me. Up. 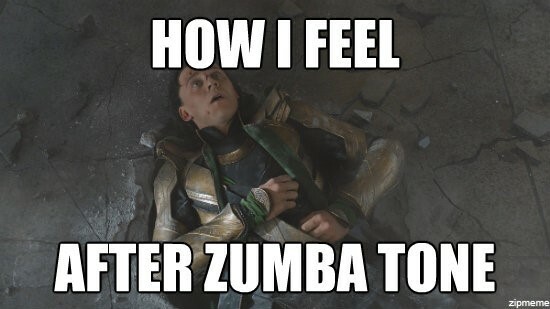 Because all this Zumba filling up our to-do lists really does keep us all going through dark times. Possible even more so than our partners…although maybe we shouldn’t tell them that. 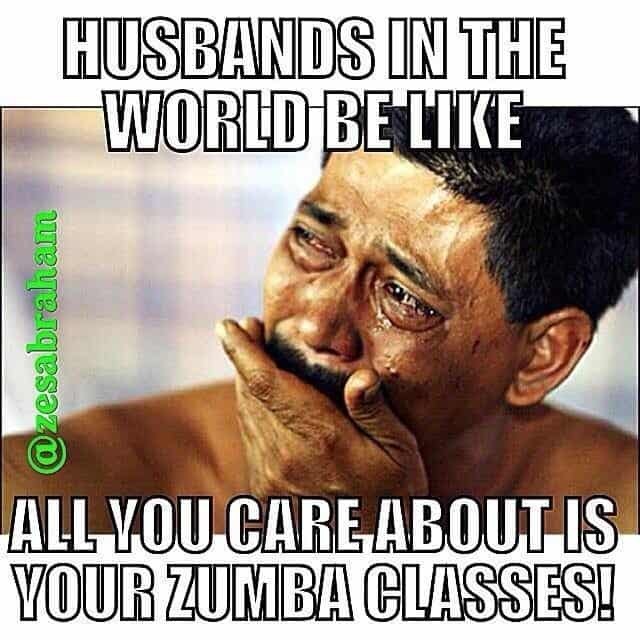 If they knew how we truly felt about Zumba, our partners may look a little like this husband. 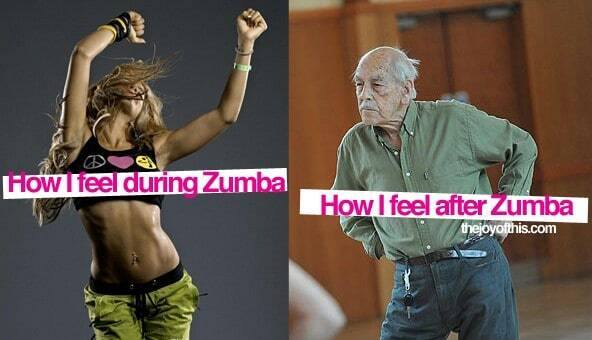 While we may feel like we’re breaking our inner Shakira or J Lo or Janelle Monae free when we’re in Zumba, by the end of class we’re all walking out of there like we’re trying to recover from the tribulations of aging. Because that class hurts the next day. 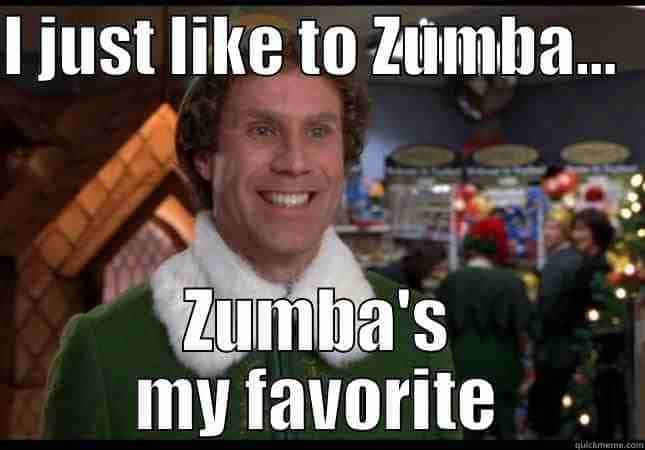 …because anyone who starts Zumba now is going to be as perky as Will Ferrell’s elf come the holiday season. 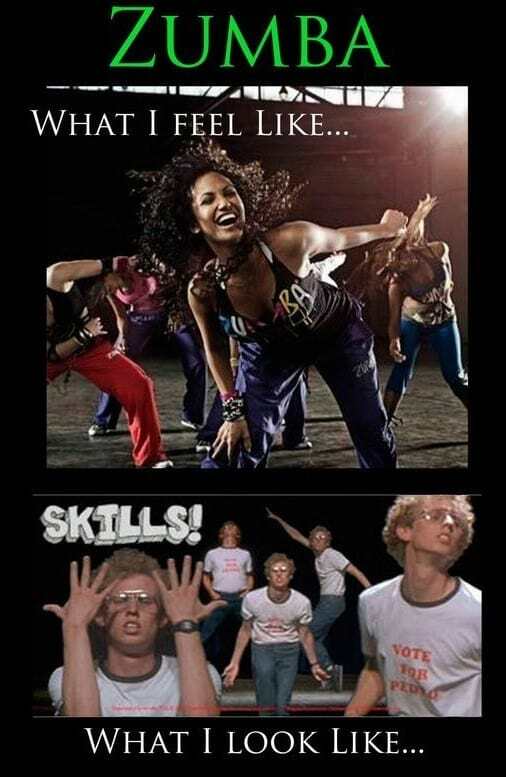 Seriously, how could you not be, when all you’re doing is getting fit through dance? Because even if we don’t look as cool as we feel, at least we’re doing the work, right? …your whole game is upended. Once you fumble in your groove, it takes more than a few beats to shimmy back into place. But remember! Even Janet Jackson has had a high-profile malfunction in her dance routine, and she bounced back just fine. 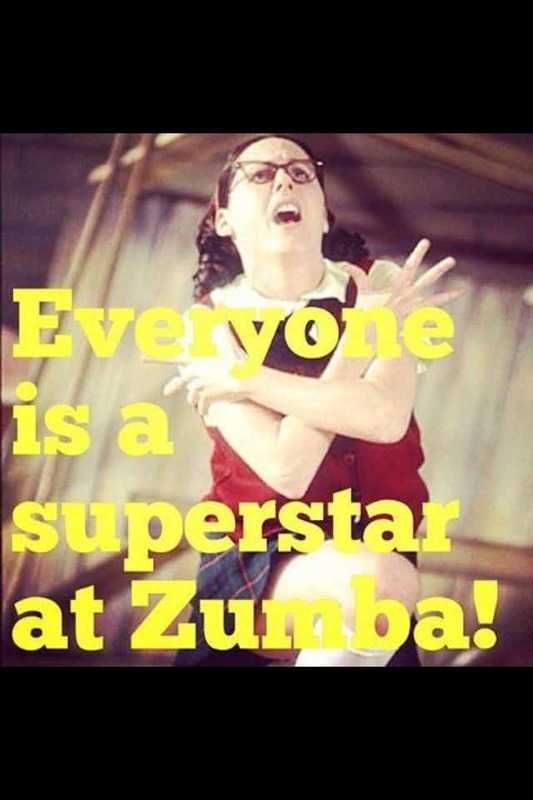 And even if we trip hard in front of the rest of the class, we’re all still superstars in a Zumba class! 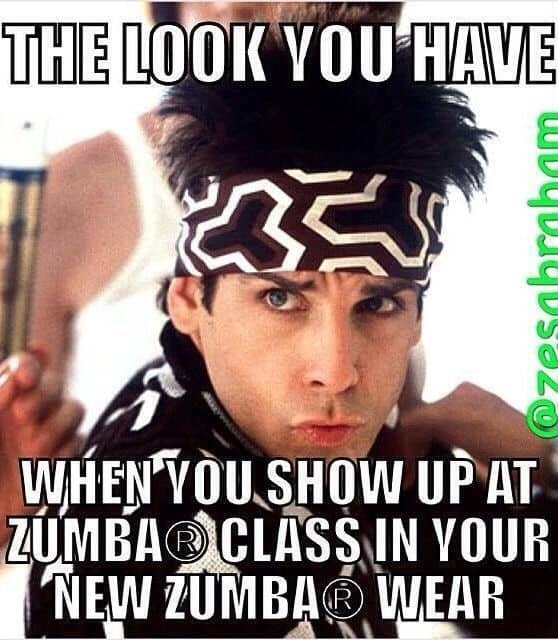 Especially when we roll up in all our new Zumba gear. Seriously. Any forgotten moves or stumbling can be undone just by checking you out in your swanky new clothes. All you need to take it to the next level? Serve yourself some Blue Steel! 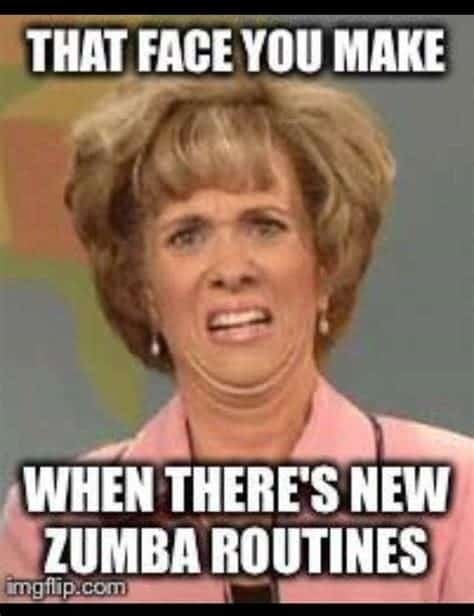 But no matter how good you look in those new duds, when the instructor changes familiar moves up with no notice, your Blue Steel is going to switch to this face when you see yourself in the mirror. 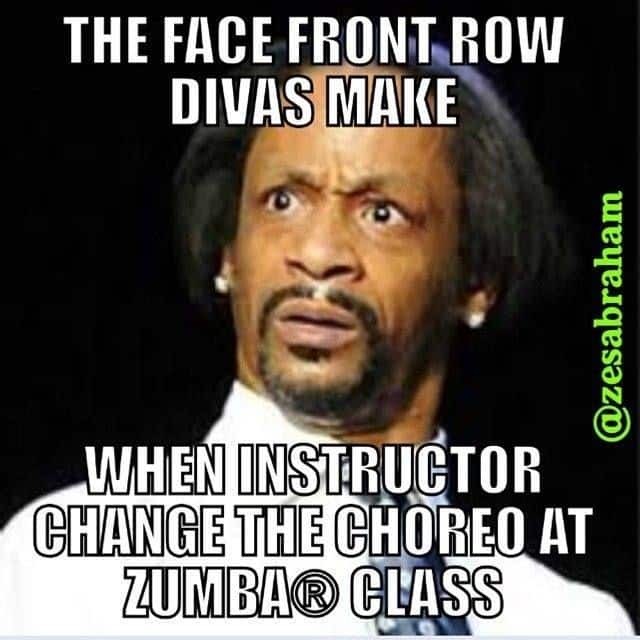 But even if the instructor keeps the routine standard, and no matter our clothes or fierce looks, nothing can really prepare our ‘dos for the post-Zumba mayhem. Just be careful when you’re scheduling your day out, or you may have one unkempt aesthetic for your business meeting or Tinder date. 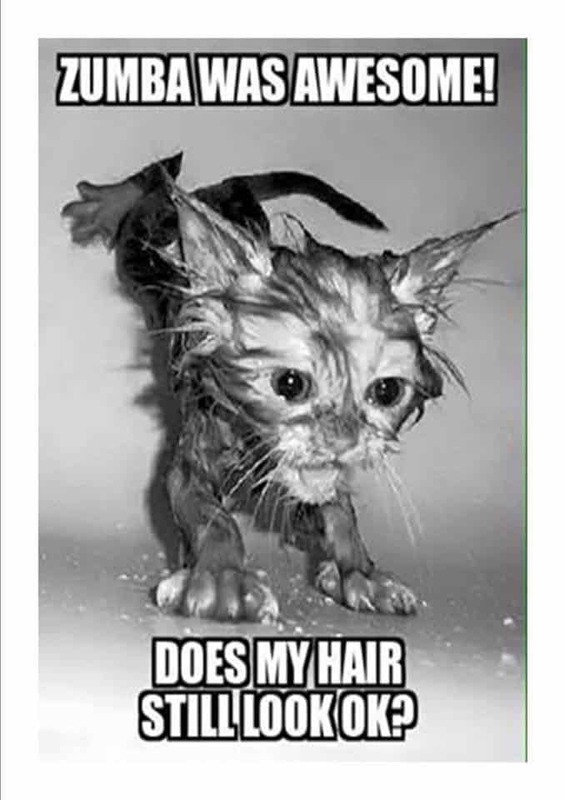 Maybe it’s the hair, but sometimes we can’t seem to convince our friends, no matter how hard we try. 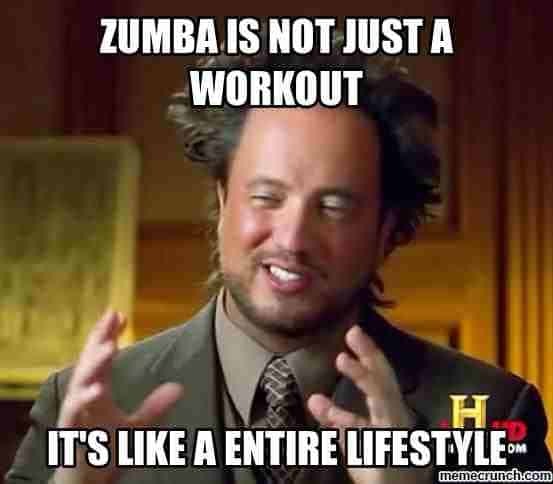 All I know is when someone asks why I workout with Zumba, I just gotta pull a face like this one. But who knows? 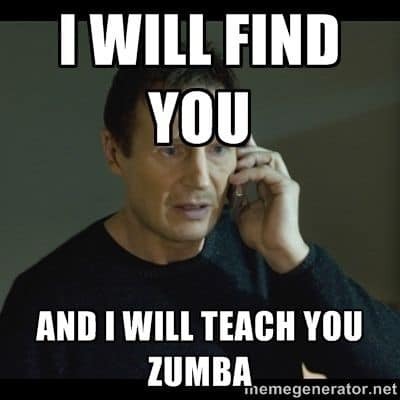 Maybe our friends would be convinced if they could only find the right instructor. Like Inigo – an icon! 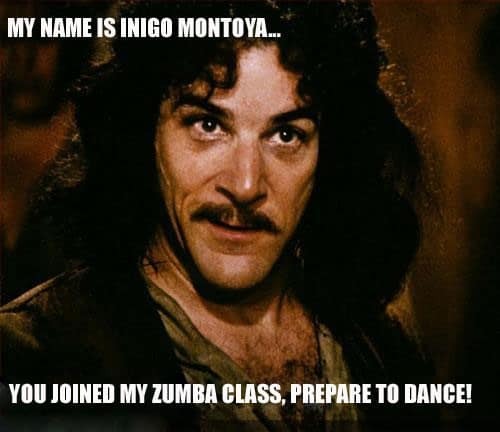 If he were heading the class, you know we’d all be lining up around the block! That persistence has gotta rub off on us, right? 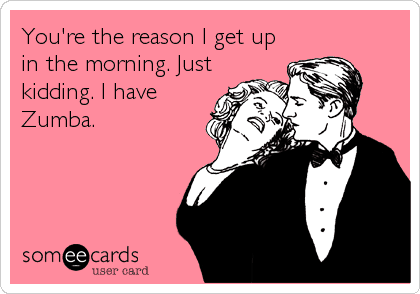 Because after all, Zumba is more than a day at the gym. It’s a whole party and community! 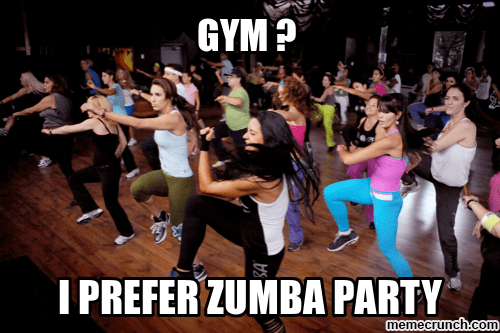 Personally, I’d rather get my workout in for the day by dancing wild for an hour than by staring into space and lifting heavy stuff up and down. Wouldn’t you? Man, sometimes, it seems like haters are gonna poo-poo on anything that diverges from what a workout is “supposed to” look like. Whenever people tell me dancing isn’t a work out, I a), blame the patriarchy for hoodwinking folks into thinking that baseball is a more taxing sport than ballet, and then b), slap ‘em with this meme. 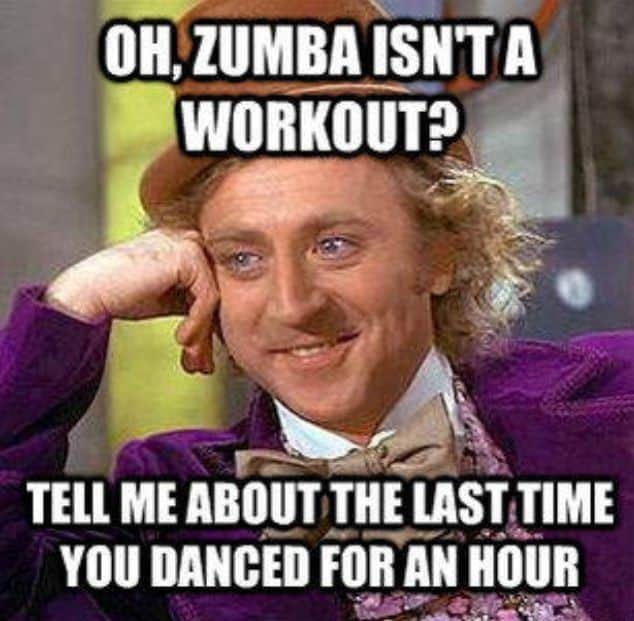 Maybe those people who hate on Zumba just don’t understand; it’s way beyond a workout method. It really is…like…an entire lifestyle. 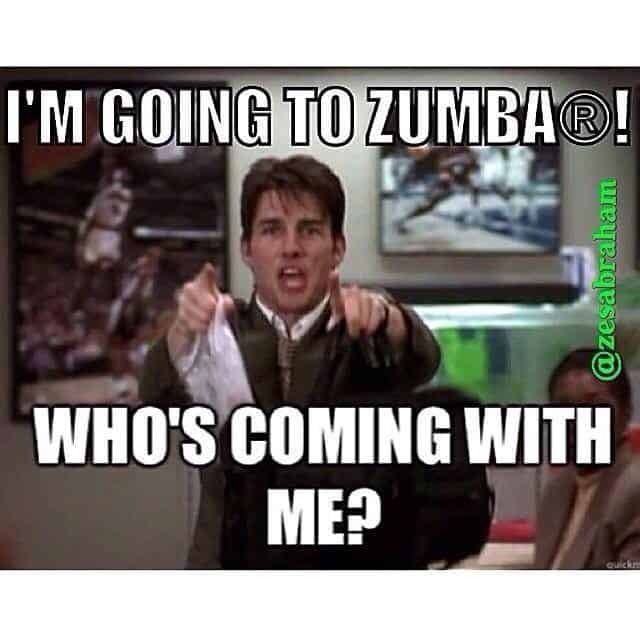 See you all in Zumba class!